This isn't exactly news but falls well within the bounds of "sailing culture" - The Islers, J.J. and Peter, have (according to the San Diego Union-Tribune) sold over 100,000 copies of their first edition guide “Sailing for Dummies” and are set to issue a second run...a level of popularity they never anticipated. San Diego native J.J. is a two-time Olympic medalist and a four-time winner of the Rolex U.S. Yachtswoman of the Year award. 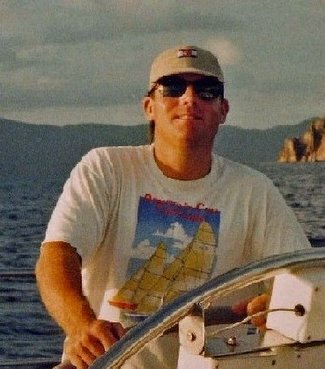 Husband Peter has sailed as the navigator on two America's Cup winners and will be back at the game next year as the navigator aboard Oracle. Every topic deserves a "dummy" book and sailing is no exception. I'm all for anything that increases visibility, demystifies and brings more people into the sailing fold. A lot of people tend to laugh at the "for dummies" series, but I have to admit that I've read a bunch of em, from various computer programming books, to wine guides, and so on. They are well written, easy to follow, and extremely informative in their introductory appraoch to topics for the novice, while still maintaining a "readable interest level" for the not so novice among us. I'm glad to see this book doing so well, and this is not the first blog that I've read of its successes on this week. Kudos to the Islers, and I'm glad that there is yet another avenue to get people into our sport.